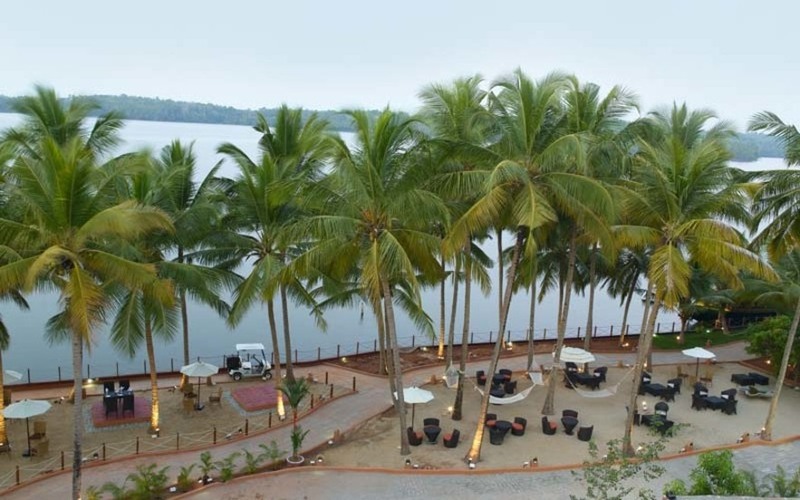 An enchanting holiday resort in a naturally landscaped peninsula, the Palm Lagoon is an isolated world on its own offering some of the most spectacular views. 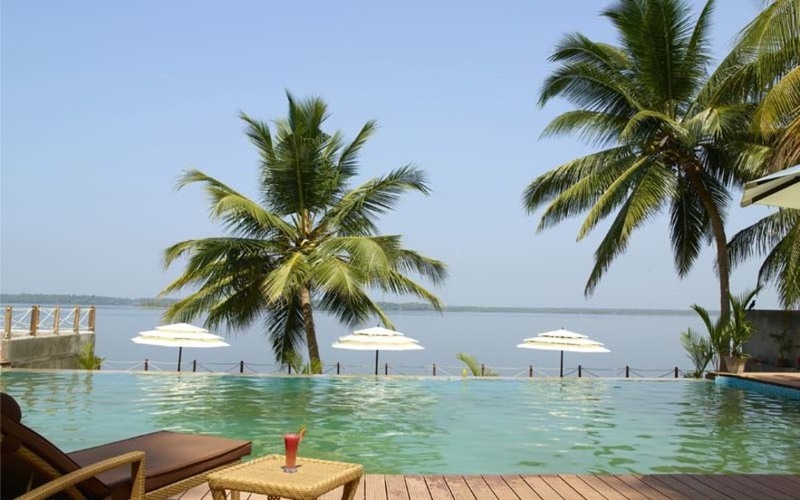 Encircled on all three sides by the beautiful Ashtamudi backwaters, one can experience both sunrise and sunset from a single point in this resort. A panoramic view of a number of tiny islands blanketed by green vegetation offers you an unforgettable experience. 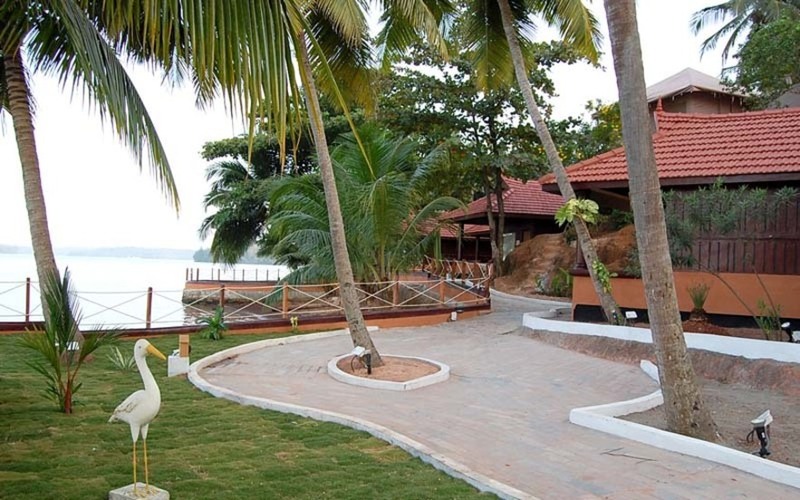 As the name of the resort indicates, it is full of verdant coconut palms. 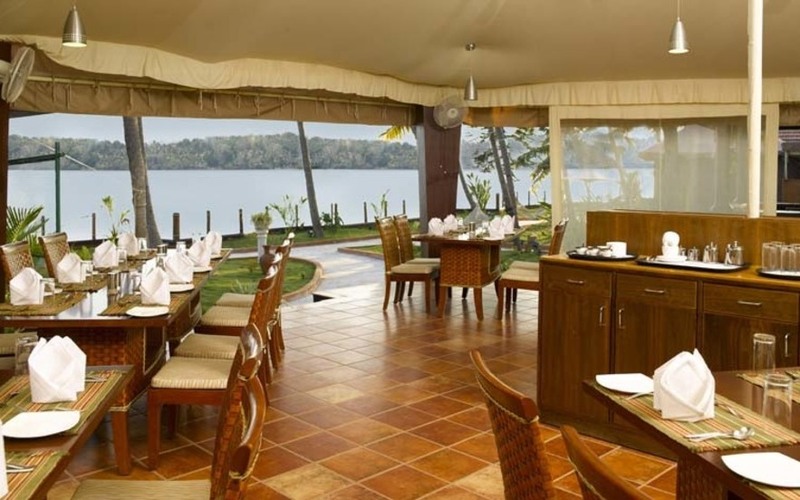 About 95kms (2 hours drive) north of Trivandrum airport.Set along the lakeside. 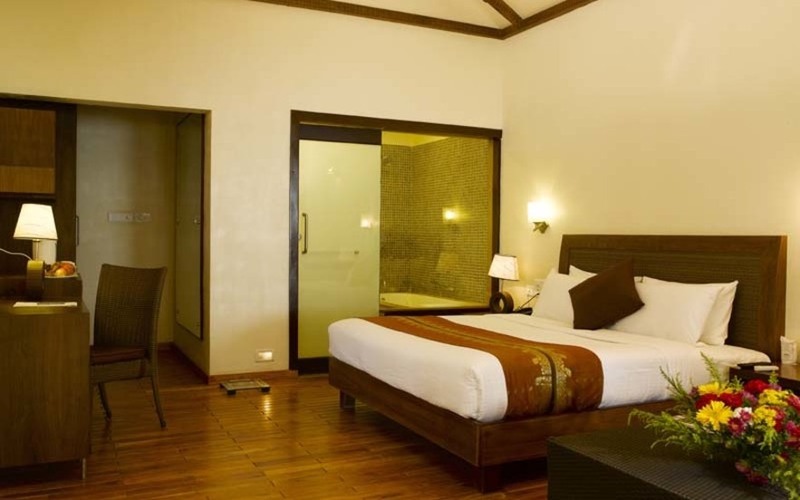 An eco-friendly resort with 12 (six AC, six Non AC) thatched spacious cottages on the lakeside, which are built purely with locally available materials. A small restaurant offering continental and Chinese cuisine.